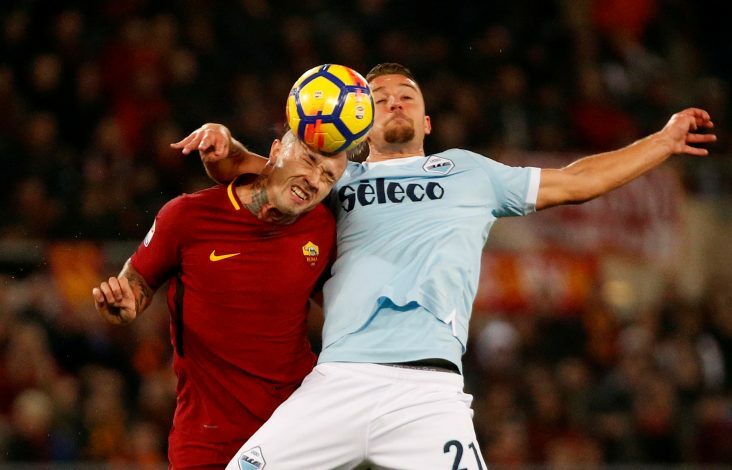 Whilst refusing to deny whether Manchester United have made an offer, Sergej Milinkovic-Savic’s agent, Mateja Kezman, has reportedly affirmed that the Lazio midfielder is not for sale at any price. In view of displaying superior performances and enjoying a meteoric rise in his football career, the 22-year-old has been linked with multiple English giants, including United, City and Serie A‘s defending champions Juventus. The Serbian international signed a contract with Lazio which extends till 2022 last April, and has already scored three Serie A goals this season. But while most speculations claim that the decorated midfielder is likely to move to Old Trafford, his agent seems to have suggested otherwise. Kezman, a former Chelsea forward, told Tuttomercatoweb: “The only person who can act on behalf of Sergej Milinkovic-Savic is myself.